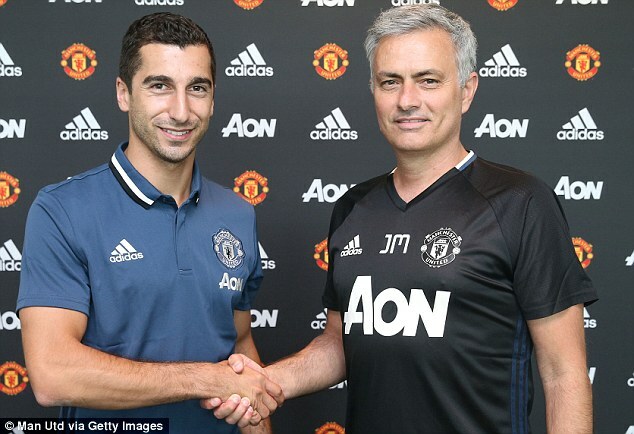 Henrikh Mkhitaryan’s start to his Manchester United career has seen him remain firmly on the sidelines of Jose Mourinho’s struggling squad. 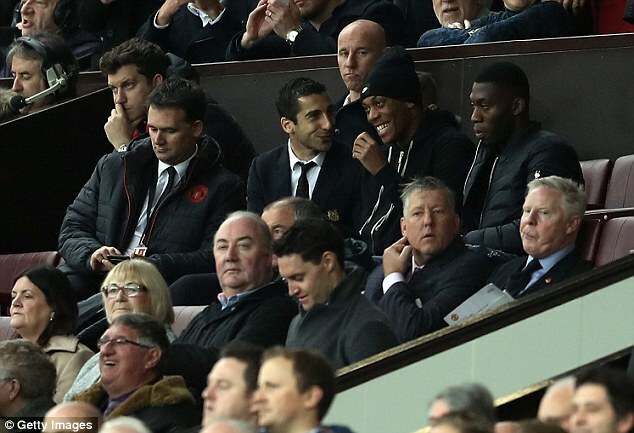 And just 24 hours after United huffed and puffed in their 0-0 stalemate with Burnley at Old Trafford, the out of favour Mkhitaryan was pictured leaving his team’s Aon Training Complex having worked out alone. 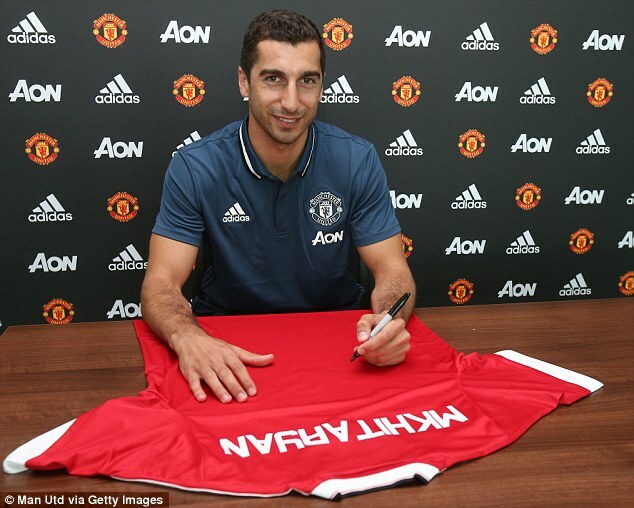 The Armenian international, 27, moved to the Premier League from Borussia Dortmund this summer, signing a four-year contract for a fee of £23.6million. But he’s made just one start under Mourinho since – the Manchester derby defeat by City – and suffered further humiliation by being forced to undergo a solitary training session on Sunday afternoon. Mkhitaryan left United’s training ground in his white Lamborghini once his drills were completed. 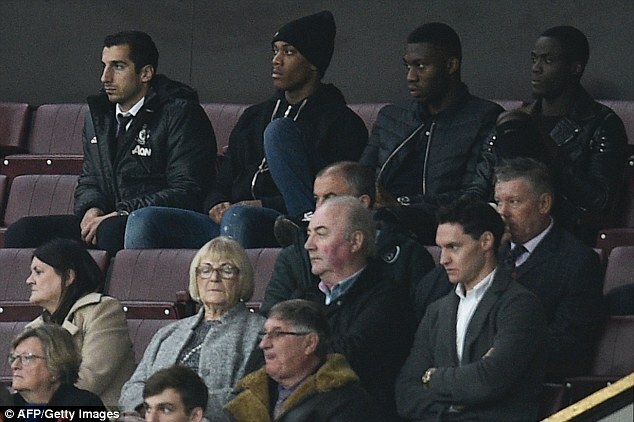 Mkhitaryan was once again left out of the United squad against Burnley, watching from the stands as the men in red failed to break down the Clarets and saw manager Mourinho and Spanish midfielder Ander Herrera sent off. But being forced to train alone represents a new low for a talented winger who suffered the humiliation of being substituted at half time after a wretched performance against City. He has not been seen on the pitch since. The former Shakhtar Donetsk midfielder hasn’t been helped by a lingering thigh injury, but was declared fit before United faced Fenerbahce in the Europa League. Nonetheless, he has failed to appear in a red shirt since, raising significant questions over the future of a man who currently looks like an expensive mistake. That said, Mourinho was at pains to point out before the draw with Burnley that he believes Mkhitaryan will eventually come good at United. ‘We believe in him and of course we believe that sooner or later there will be no problem,’ Mourinho said earlier this week. ‘But Mkhi needs time to become the top player he can be. With some players, their profile is adapted to come and play. ‘Some others need more time to feel the intensity and the aggression (in England), the game without the ball, the competitiveness. Many times players come from different countries and the style of football is different. Despite barely featuring so far this term, United have rejected any notion Mkhitaryan could be quickly moved on in January. 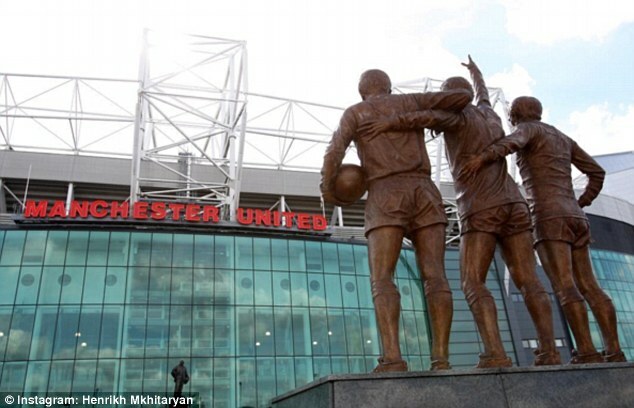 The 27-year-old, who speaks six languages, is said to be ‘an absolute gentleman’ and popular with Old Trafford staff. 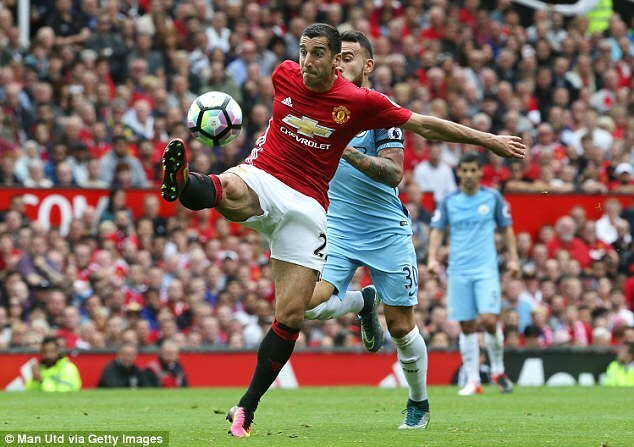 But Sunday’s solitary training session is hardly something which will reassure the player, Mourinho moving to compare Mkhitaryan to Angel Di Maria this week. 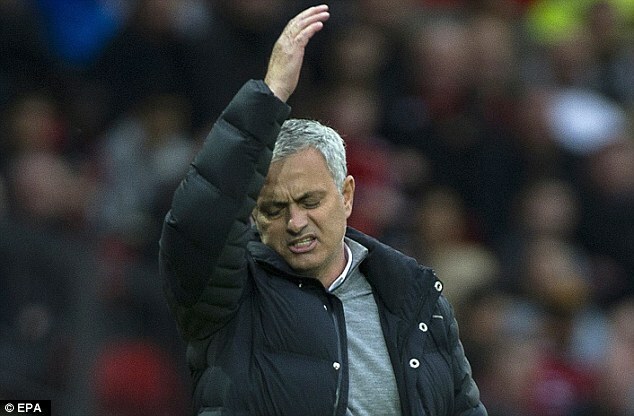 He will hope his United career doesn’t go the same way as that of the Argentinian misfit. ‘Mkhi is not injured. He is training with the team 100 per cent, there is no limitation in terms of his fitness-related injuries,’ Mourinho added. 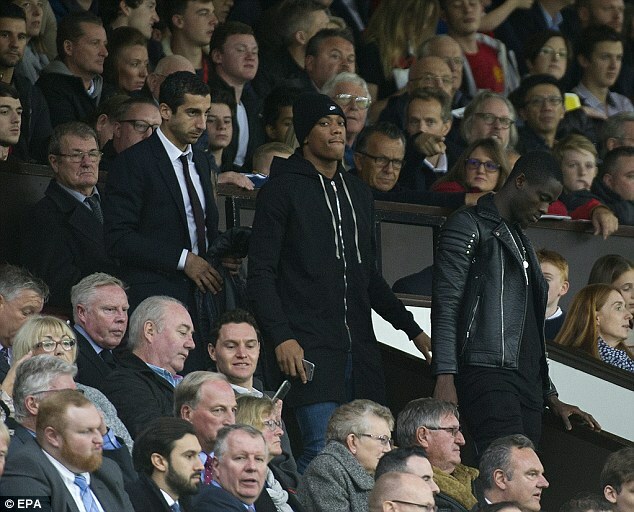 ‘Willian – he arrived at Chelsea, had problems to play. He went through a process then after he became a top player. Then the next season he became absolutely phenomenal and still is. ‘When Di Maria arrived at Real Madrid, he also had to learn a lot about his game and a new reality. Sometimes it happens. Attacking players sometimes arrive and go straight to success. Other times it takes a little more time.